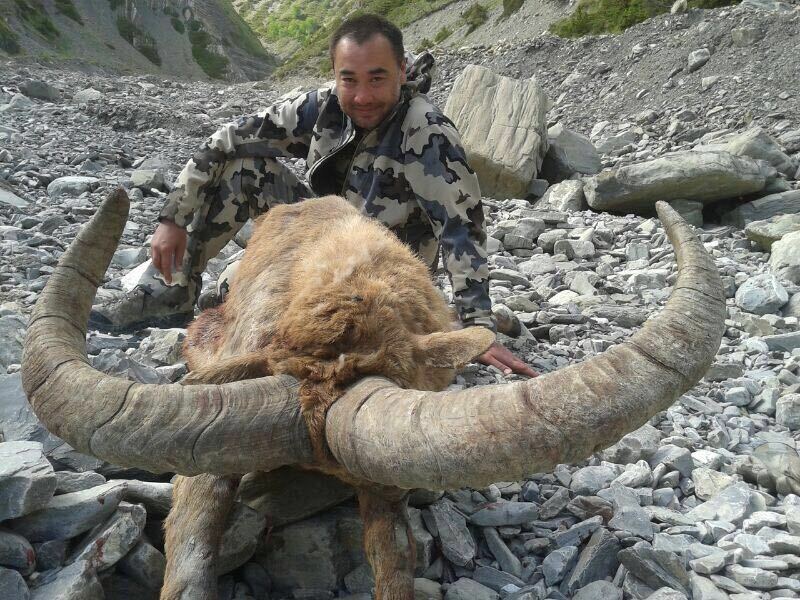 East Caucasian tur or Dagestan Tur from East Caucasus has ringed horns. The lyre (musical instrument) shape is quite similar to Bharal but more massive. 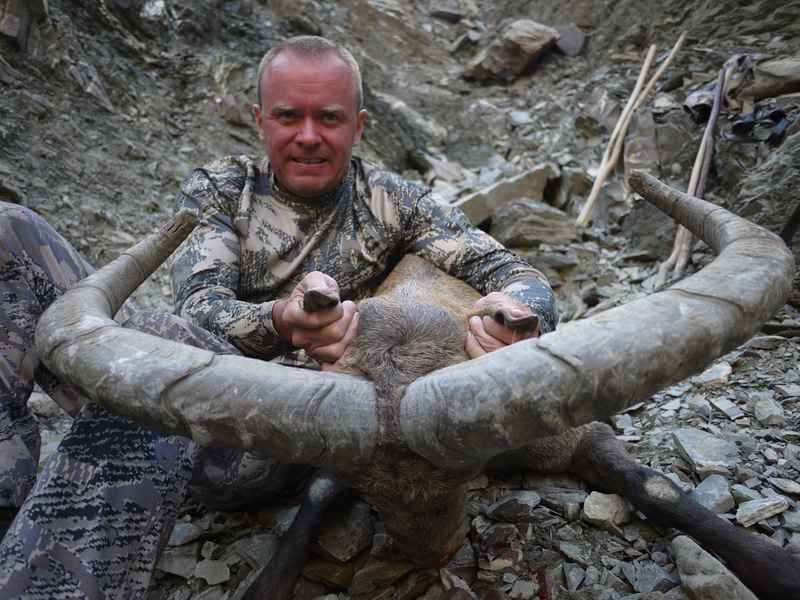 The average trophy is about 80 cm, but larger specimens beyond the meter. 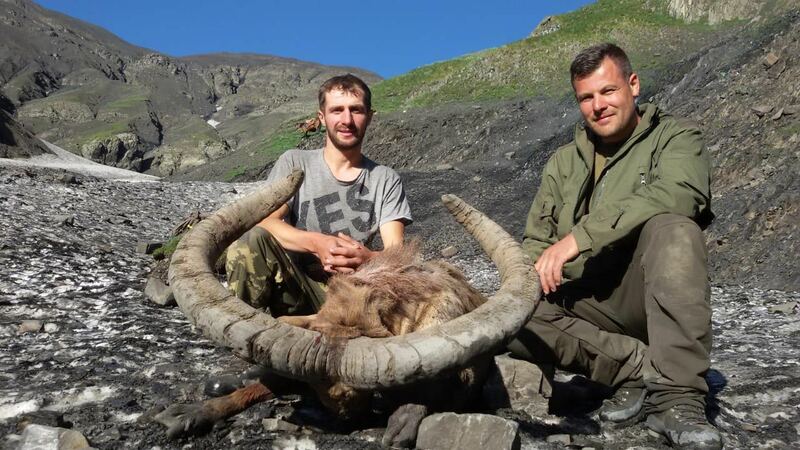 We opened this territory located on the south-east slope of the Caucasus in 2014. Until that time hunts Tur had consistently place on the northern slope of the Caucasus. 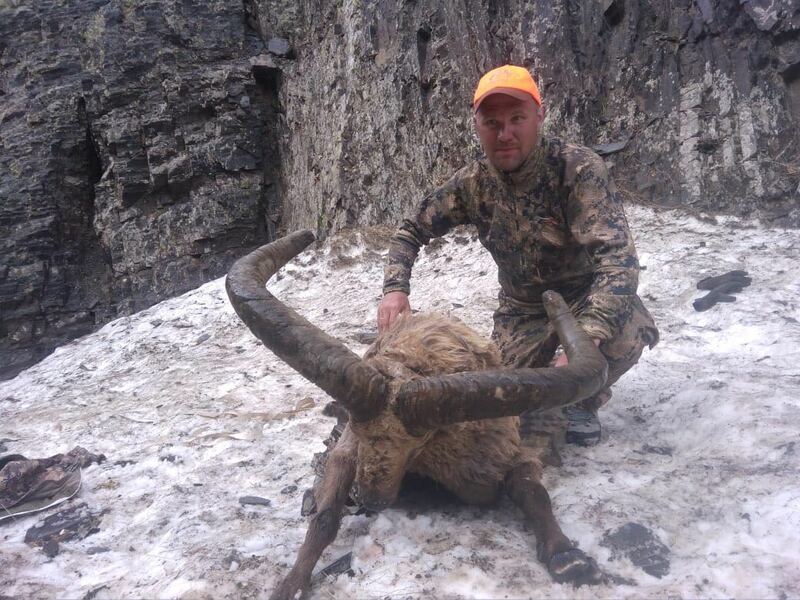 WEATHER : Hunting season : From May 20 to November 10. Again each period has its advantages and disadvantages. In the Caucasus, the weather is usually nice in the summer but there often fog in altitude during the hottest hours. 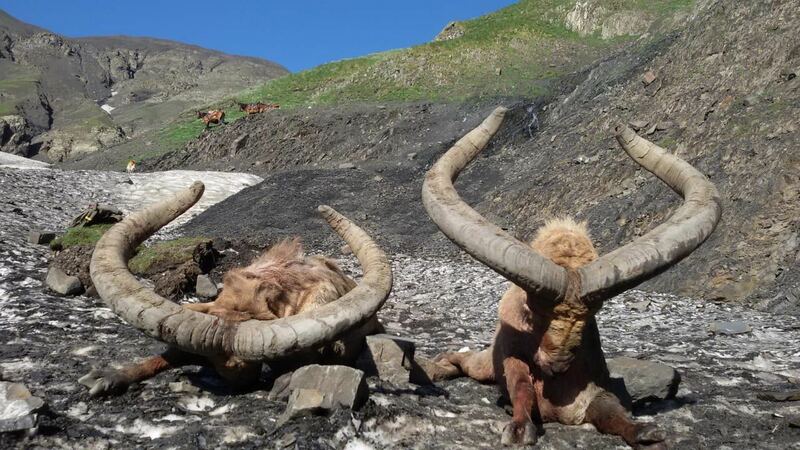 The eastern regions of the Caucasus are more temperate (near the Caspian Sea), even in summer, it is necessary to guard against rain and cold as hunting territories range from 1 600 to 3 600 m altitude . 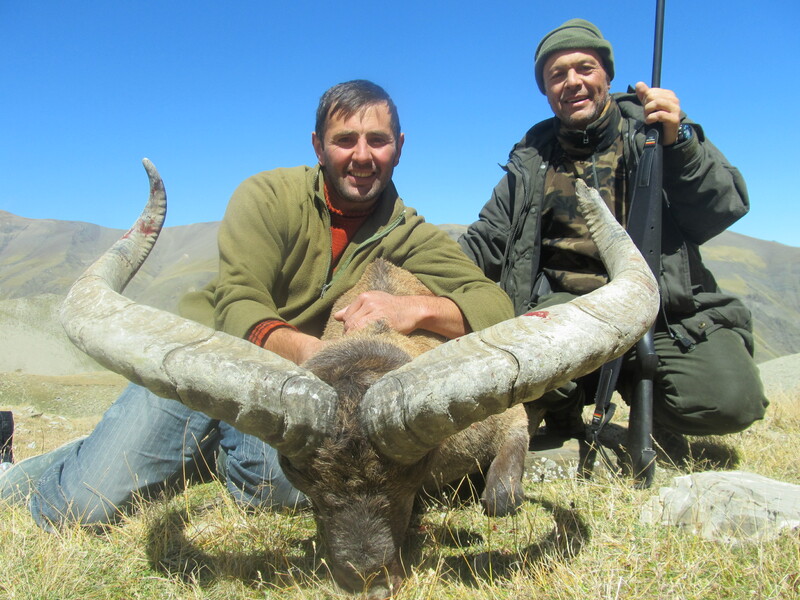 The months of May and June are very pleasant to hunt because it is more cooler (less fog in altitude), but the skins hair is worn out. From this part of the world, winter does not prevent. It starts to snow suddenly and abundantly, it may be late October or late November. 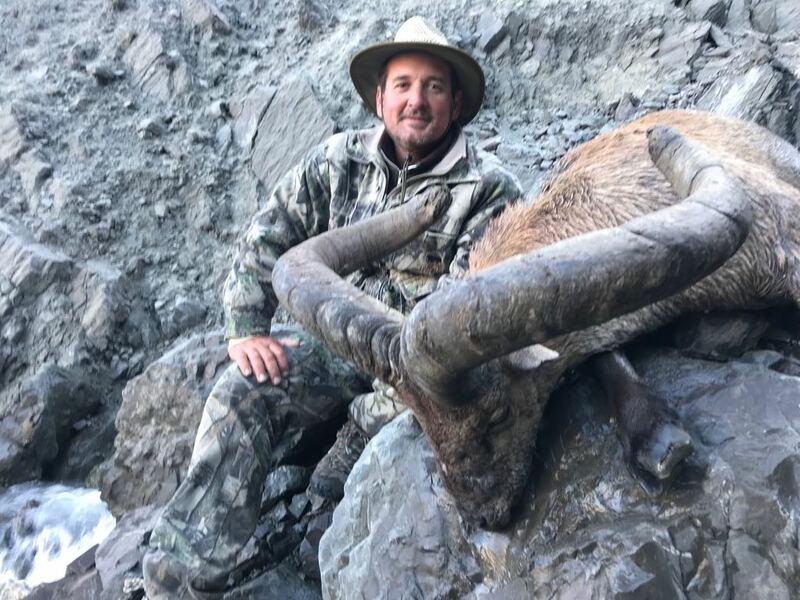 The most exciting hunting way is stalking (approach). The Caucasus is a very sporty mountains as ” steep “. It looks like the Pyrenees larger. The weather unfortunately also is similar to so wet facing slope in summer. 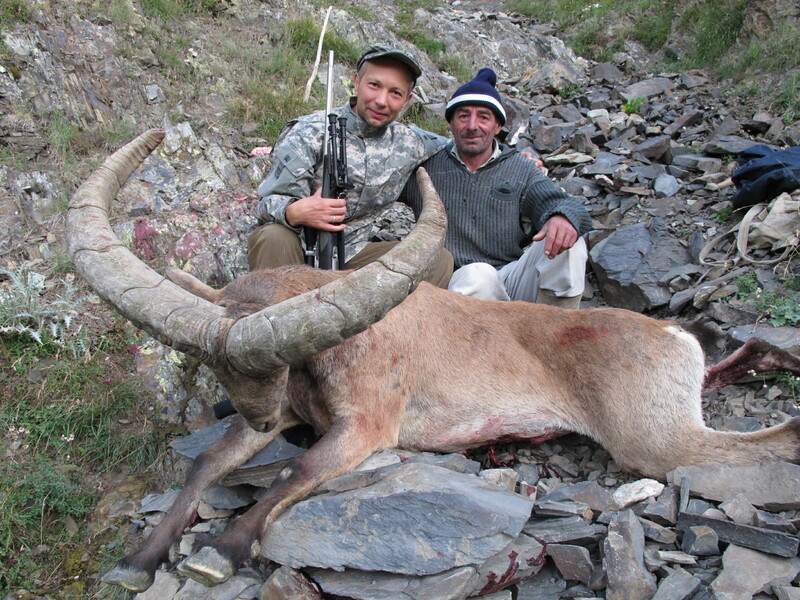 Hunting is proceeds after long sessions of scouting to identify animals. This allows to draw older animals from unapproachable places. When booking you have to provide a HD scan of your passport by email (scan PDF, JPEG to send: info@mountainhunting.ru) and as the details of your weapon (brand, caliber and serial number). Take 20 to 40 ammo. Azerbaijan is a country quite easy in terms of formalities, customs clearance of the weapon is quite fast. Hunt is done from light tent in the mountains (that guides wear). you need to have a good sleeping bag and tents for fly camp (but we advise hunter bring tent for him).